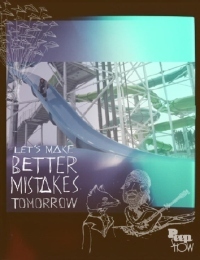 Let’s Make Better Mistakes Tomorrow features a crew of female snowboarders who offer a unique persona, skill and style as well as break new boundaries in women’s snowboarding. Outside the market of parental advisory and big budget filming, Peepshow believes there is a cult market for an uncut and raw video capturing female snowboarders. It’s a movie that features accomplished pros as well as up and coming ams. It reveals the progression of female snowboarders as well as the personality and lifestyle behind it.